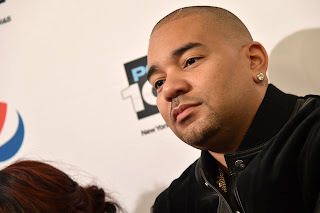 Power 105.1’s DJ Envy took to Instagram to tell his listeners that he has changed his stance on the New York Police Department's stop and frisk search method, after initially supporting the idea of bringing back the policy in some shape or form. John Legend's appearance on The Breakfast Club helped sway the host's opinion. The policy, although no longer used by the NYPD, was a topic that was brought up on the show following the Hillary Clinton and Donald Trump presidential debate from the previous evening. Envy thought the policy would help take guns off the street in high crime areas. The topic of guns was something that was fresh in his mind. After receiving backlash via Twitter due to his initial stance, Envy revealed a potentially life changing event that spurred his thoughts in supporting stop and frisk. Check out that conversation, the John Legend appearance, and DJ Envy's Instagram post below. DJ Envy revealed last week that he nearly lost his life during a failed armed robbery and carjacking. He posted an Instagram photo of bullet holes from his vehicle. Envy explained how Legend’s commentary helped him separate the country’s problem with gun violence and racial profiling. Envy was driving in northern New Jersey on his way to work at about 3 a.m. on Sept. 22 when an SUV pulled up behind him with flashing, police-style lights. "Something doesn't feel right about this," he remembered thinking. "The police light was all blue and in New York and New Jersey, the police lights (are) red and blue," he said. He didn't pull over and continued to drive in what he called "one of the worst areas in New Jersey." After much consideration following conversations with John Legend and his wife, Envy took to Instagram to post his changed view. I was firmly and vocally against stop and frisk... That all changed about a week ago when someone tried to MURDER me in an attempted robbery and carjacking... I was shot at several times with an illegal gun . Thankfully, through the grace of God, I was able to escape with my life and go home to my family. I said that stop and frisk could be an option if it could be administered PROPERLY and FAIRLY. Voicing that opinion created a much-needed discussion about the topic. It angered a lot of people and causd a surge of information to rise to the surface... some information that I was not aware of previously... After several conversations within my community with @johnlegend and with my wife, I am not too proud to say that my views on Stop and Frisk have changed.. I spoke too soon..
John legend is a firm supporter and advocate of black lives matter. I had an opportunity to have a wonderful conversation with him today where he provided me and our listeners with a great deal of useful information regarding stop and frisk. This information played a large part in me revisiting my thoughts and opinions regarding stop and frisk. As a black man in our community, I have been subjected to stop and frisk on numerous occasions and have had bad experiences with police officers who abuse their power. Upon all of those occasions, I had gone home and complained to my family and/or shared it with breakfast club listeners. I am the son of a retired detective and still had contempt for the law and the officers that carried it out. I was firmly and vocally against stop and frisk... That all changed about a week ago when someone tried to MURDER me in an attempted robbery and carjacking... I was shot at several times with an illegal gun . Thankfully, through the grace of God, I was able to escape with my life and go home to my family. It was as though a ton of bricks fell from the sky and gave me a different perspective on stop and frisk based on my experience. The only thing that I could think is that these streets aren't safe and that illegal guns need to be removed. I have been on both sides of the equation… A person reduced to being stopped and frisked and a person who's life was almost taken from him with an illegal gun. I said that stop and frisk could be an option if it could be administered PROPERLY and FAIRLY. Voicing that opinion created a much-needed discussion about the topic. It angered a lot of people and causd a surge of information to rise to the surface... some information that I was not aware of previously... After several conversations within my community with @johnlegend and with my wife, I am not too proud to say that my views on Stop and Frisk have changed.. I spoke too soon..